Over a thousand teachers from different parts of the Philippines took part in an inspiring and innovative learning event organized by Ayala Foundation, in celebration of National Teachers Month. The whole-day learning event featured talks and interactive sessions, covering the Department of Education’s STEAM (Science, Technology, Engineering, Art, and Mathematics) program. It was held at the Ayala Museum on October 1, and was livestreamed in 10 other sites in Luzon and Visayas. 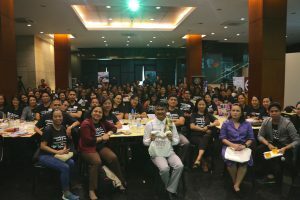 The 1,011 teachers who participated in the learning event earned continuing professional development (CPD) points, since Ayala Foundation is a Professional Regulations Commission–accredited training provider for professional teachers. A joint initiative of Ayala Foundation’s Education and Arts and Culture Divisions, particularly the CENTEX program and the Ayala Museum, the event served as a creative integration of the museum’s “Inspire Every Day” campaign and CENTEX’s continuing efforts to contribute to the improvement of teaching skills in public elementary schools nationwide. The simultaneous learning sessions were also implemented with the active support and participation of the Enrique Zobel (ENZO) Foundation. The event featured three main speakers—clinical psychologist Honey Carandang, who spoke about the role of mindfulness in education; Mind Museum curator Maria Isabel Garcia, who facilitated an interactive STEAM lecture; and award-winning educator Jesus Insilada, who discussed STEAM and its role and uses in the community. 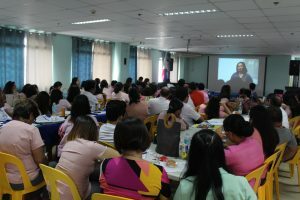 The main lectures were held at the Ayala Museum lobby and livestreamed through Ayala Foundation’s YouTube page, and shown in the following sites—the ENZOTech facility in Calatagan, Batangas; CENTEX Batangas; Buklod Bahayan Daycare Center in Silang, Cavite; Barangay Aninuan Covered Court, Puerto Galera, Oriental Mindoro; Sta. Cruz Elementary School, Ligao City, Albay; Lio Tourism Estate, El Nido, Palawan; Carles Central School in Carles, Iloilo; Sto. Rosario Elementary School in Silay City, Negros Occidental; New Washington Elementary School in New Washington, Aklan; and DepEd Schools Division Office, Lapu-Lapu City Cebu. Aside from featuring the lectures, each site also came up with other activities for the participants. 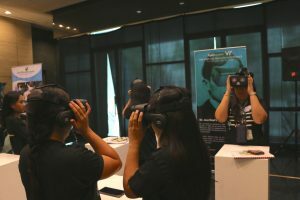 The participants at the Ayala Museum, for example, had the chance to experience the new Virtual Reality Dioramas of Philippine History. The project was also supported by Greenbelt, Globe, the Mind Museum, Bic, Air21, the Coffee Bean and Tea Leaf, Ajinomoto, Kidzania, Adobo Connection, the Maya Kitchen, and the National Teachers Month.